With hand injuries representing over one quarter (28%) of workplace incidents and gloves accounting for upwards of 30% of your safety budget, putting together a strong hand protection program makes a huge impact within your facilities safety program. No single glove can provide appropriate protection for every work situation, so it is important to assess the risk for each task and choose a glove that provides specialized protection. But with hundreds of thousands of different gloves on the market and all claiming to be the solution to all your hazards and problems, where do you even start the process? You could take the hands off approach, and let us help you review your hand protection program and make recommendations for improvements. 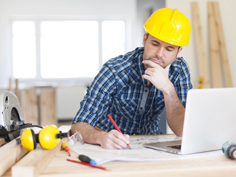 It is the best way to get expert advice and realize injury reductions and cost savings. When selecting your gloves, you need to keep in mind a few things. If dexterity and feel is important in the type of work you are doing, then getting the correct size is of the upmost importance. The most popular gloves are typically made in sizes 6 through 12, although sizes outside this range can also be found. Having the correctly sized gloves will also increase comfort, making workers more likely to wear their assigned PPE. Whether working in liquids, oils, or with dry materials, grip should not be overlooked. The most common ways to get good grip on gloves is with leather palms or with coatings that are either palm dipped or dotted onto the gloves. Different materials can yield very different results, just like that way they are applied (i.e. flat coated vs foamed). 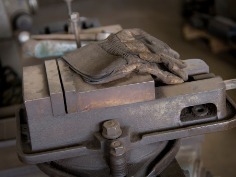 Abrasion resistance will help your gloves last longer from the rigors of normal wear and tear. This is a completely different rating and does not correlate to cut resistance at all. Most good quality string knit gloves will showcase their durability ratings by an ANSI resistance rating. 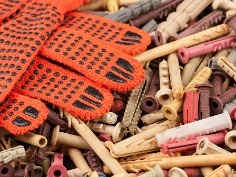 One surefire way to increase the lifespan of your string knit gloves is to move to something with a palm coating. Chemicals protection can get incredibly tricky because the chemicals themselves can move directly through certain materials without showing any signs of damaging the material itself. This action is called permeation. When selecting your chemical gloves, ensure that you consult a permeation chart to determine the best material for the chemicals that you may come into contact with. Cut resistance is the ability to resist a sharp edge moving across the glove surface without cutting or slicing through the material. There are two different certifications methods to which are CE (European) and ANSI (North American) which are not interchangeable. Determining cut levels can be difficult at first, so download a cheat sheet to help determine a place to start. Puncture resistance is the ability of the glove to resist a sharp point being pushed into the glove itself. The gloves can be rated for medical needles or just sharp points in general. If you’re working with needles, it is essential to ensure that you’re wearing a pair of gloves that are ANSI rated specifically for punctures. Still not sure which glove is the right choice? Get in touch with us today, or sign up for a FREE glove review. Sign Up for a Free Glove Review!